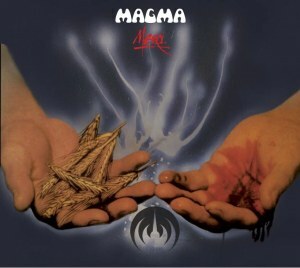 Released in 1985, MERCI has been the last studio album by MAGMA to be released before Christian VANDER dedicated himself to his new group, OFFERING. Released in 1985 and dedicated to John COLTRANE, MERCI is the last studio album by MAGMA to be released before Christian VANDER dedicated himself to his new group, OFFERING. Recorded between June 1982 and October 1984 at Studio Davout, with the help of a galaxy of musician friends, MERCI perfectly demonstrates the seamless transition from the electric music of MAGMA to the acoustic serenity of OFFERING. 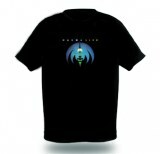 The album is, in effect, divided into two sections. The four opening titles present the MAGMA rhythm'n blues of the early 1980s, a cool, soul-wrapped unit full of melodic richness, and embellished with fabulous brass and vocal arrangements. The final two pieces by contrast are in a stripped-down, purified style which declares what the quest of OFFERING will be to touch the human being in the depths of his soul via a music which has been reduced to its essentials. This brand new edition is a remastered version of the original tracks in a digipack format with a 12 pages booklet including all lyrics. Also included in this new edition an ultra rare track from the same recording sessions, previously only available in an album consisting of tracks related to zeuhl groups and tribute to Magma career, nowhere to be find anymore. by J.B PLE et Francis LINON.